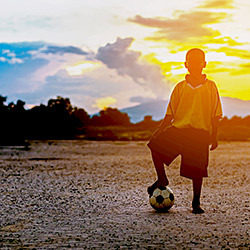 Bring hope to the people of Africa. 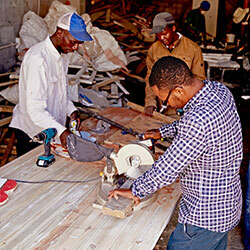 Teams can work with unreached peoples in remote areas or assist urban ministries in the cities. Take a look at some of the mission projects available to groups being run by our partner ministries. 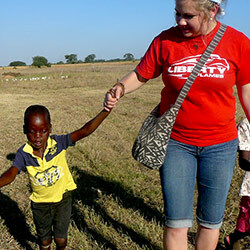 Your team will work alongside local volunteers who will help direct activities at each project site. Group members' skills & passions will be matched with the needs of the community, making this an opportunity for each individual to use his gifts to the fullest. If you don't see what you’re looking for, let us know & we'll pair you with ministries in need of your service. Each trip can be customized to fit your skills, time-frame & budget. Build your own mission program by packaging any or all of these services with your project. Airport transfers, coach & rail. 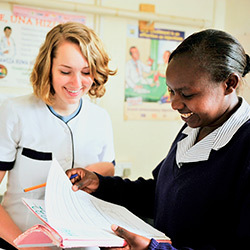 Kenya is an ethnically diverse nation with many opportunities to serve. 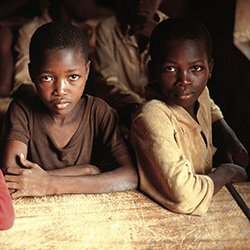 Witness the dichotomy of a rapidly growing nation & the effects of poverty, unemployment & HIV/AIDs in urban or rural settings. Your team can spend time serving in the bustling city of Nairobi or the quiet countryside of Limuru. Develop relationships with local people as you join them in worship, break bread together & participate in community activities. Teams will be trained upon arrival & given a brief overview of the project, needs & local culture. Housing, meals & transportation are provided by our partners on the ground. Teams work alongside pre-school teachers at organizations like Pages Academy & LCC-K to help introduce exciting new learning styles, prepare students for tests & teach children to think outside of the box. Volunteers are encouraged to incorporate music, song & new learning styles that will enrich the program. Many Kenyans living with HIV/AIDs are stigmatized because of the disease, leaving them feeling isolated & cast out. Local churches have begun reaching out to those affected through a ministry called CARE for AIDS, offering in-home visits & treatment. Team members accompany medical professionals to offer spiritual encouragement. In turn, volunteers are often inspired by patients’ faith & testimonies. 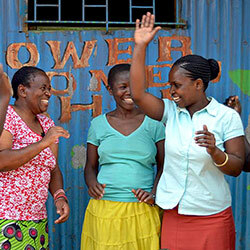 Enjoy a time of fellowship with women living with AIDs at the Power Women's Group, located in Nairobi. These 15 women make a living from their handmade craft business that supports not only their families, but one another as well. The profits generated fund emergency medical expenses, school fees for their children & maintaining the business. Safari in Masai Mara - Experience a safari in Kenya's finest wildlife reserve. This northern extension of the Serengeti is home to more than 450 different species, including giant herds of wildebeest, elephants, Cheetah cubs & more! National Parks - You can also choose to observe the animals at one of many national parks: Abedare, Amboseli, Nairobi or Lake Nakuru. Other Options - Ask about opportunities to visit the elephant orphanage, experience the giraffe sanctuary, or take a dolphin safari! 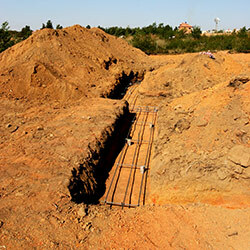 Since 1991, South Africa has been free from Apartheid & segregation, yet it is not free of challenges. 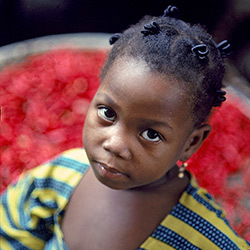 Many of its people struggle with poverty, unemployment & HIV/AIDS. Your team will help to bring hope to the destitute. Work side-by-side with local ministries that address these issues in a concrete & sustainable way while demonstrating love & compassion. Before work can begin, teams will attend an orientation including a brief overview of the project, community needs & South African culture. Accommodations, meals & transportation will be provided by our partners on the ground. 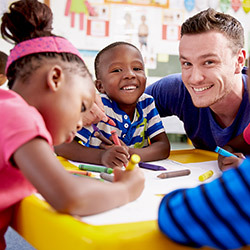 Living Hope's Children & Teens Clubs create safe spaces for at-risk youth to learn & grow. Your group can encourage kids to pursue their goals & learn important life skills through mediums like music, sports, games art & reading. The program also includes parenting classes extending Living Hope's influence into the home. Physical Education classes have recently been removed from South Africa's school curriculum. Sports not only help kids stay out of trouble, but also allow them to develop leadership, teamwork & communication skills. You can work alongside of coaches & help children form these important life skills. 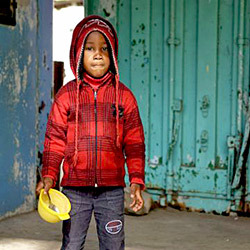 Many South Africans have been deeply impacted by AIDS & other health issues like malnutrition. Many even lack basic access to healthcare or medication. Your team can visit with patients at the Living Care in-patient clinic. Many South Africans do not have access to proper health education in order make the choices needed to live healthy lives. Your group can work with an organization called Living Hope that provides free health-screenings, including various tests, counseling & general health assessments. You can also serve with Living Right Ministries, which works to prevent chronic illnesses like HIV/AIDs through health education. 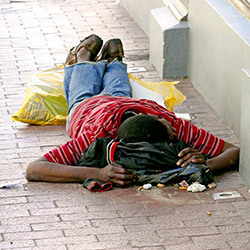 Since the end of apartheid, South Africa has experienced a steady rise in unemployment & homelessness. In partnership with Living Grace, your group can share the love of Christ with the homeless through motivation, treatment & support. 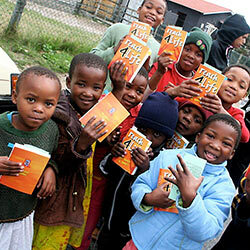 Support Living Hope as they work to build a better future for the people of South Africa. 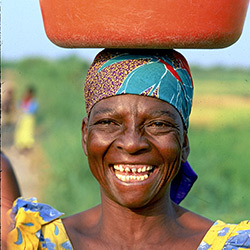 Make a connection with local people by assisting with community improvements. Work is completely dependent upon the specific needs of the communities at that time. Work with Living Hope & local churches to empower, encourage & serve surrounding communities. Your group can introduce people to the Gospel & help them connect with churches in their area. Cape Town Day Tours - Walk on the beach, go for a mountain top hike, or walk around town to shop. 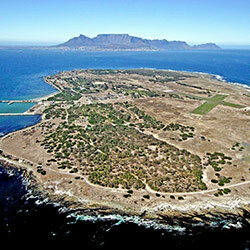 Tours include: Cape Peninsula, Table Mountain & Robben Island. 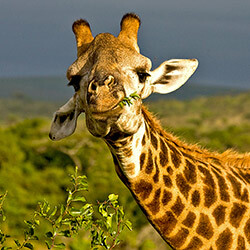 Addo Park Safari - Experience the thrill of a Big 5 Game Park. Visitors can also partake in ski-boat cruises, caving, zip lining, bungee jumping, hot natural springs, horseback rides, surfing, elephant feeding & riding, river canoeing, the list goes on & on. 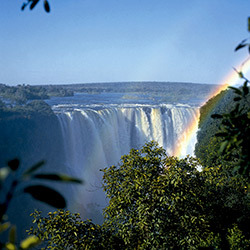 Zimbabwe has many wonderful places to visit like Victoria Falls & Hwange National Park & offers ample opportunities to serve the local people. Approximately 85 percent of rural villagers survive on less than a dollar per day & it has the lowest life-expectancy of any country on the planet. Upon arrival, your team will be met by our partners on the ground & given a brief orientation. Work alongside local volunteers who have established relationships within the community & can act as translators. During your mission trip, transportation, meals & lodging are provided. Make sure to take advantage of your downtime to see the country's scenic attractions or sample a variety of traditional Zimbabwean dishes like Sadza or Dovi! 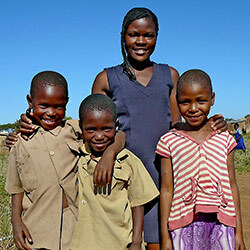 There are an estimated 1.2 million orphans in the country of Zimbabwe, most of which have lost family members to HIV/AIDs. 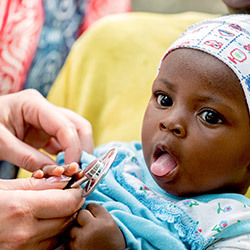 Teams will work with young children & teens at orphanages like the Father's House or St. Joseph's Home to create a positive environment where they can learn & grow. Safari in Hwange - Stretching over 14,000 km, this National Park is home to more than 100 species including lions, rhinos & elephants. National Parks - Take in the breathtaking views at Victoria Falls or observe the range of wildlife at Matobo, or Mana Pools National Park. Adventure Activities - Ride ATVs, bungee jump or go white water rafting!